From the "Centre for Social Literature" to the "Swiss Social Archives"
The Swiss Social Archives were founded in 1906 under the name of "Centre for Switzerland's Social Literature". The aim of the Centre was to document "the social question" and to "make this collection available free-of-charge to all interested parties". The initiative was taken by Paul Pflüger, a social reformer and pastor from the working-class district of Aussersihl. Inspired by a visit to the Musée Social in Paris on the occasion of the 1900 World Exhibition, Paul Pflüger devoted himself intensively to documenting the social question. The association had a non-partisan composition right from the start. All the key political and denominational directions were represented, in order to ensure that the newly-created institution worked on a scientifically objective basis. In January 1907, the reading room and lending service were launched in a two-room flat at Seilergraben 31. For the first few years, the "Centre for Social Literature" was run as a one-man undertaking. 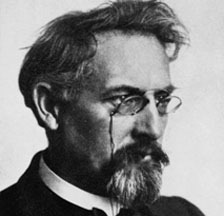 The first person in charge was Gustav Büscher; he was succeeded in 1909 by Sigfried Bloch who, together with his wife, Rosa Bloch-Bollag, was a prominent representative of the Swiss labour movement at that time. In 1919, the "Centre" was able to move into new and bigger premises on the ground floor of the former chancel of the "Predigerkirche". Under its new manager, Paul Kägi (1929-1941), the Centre increased its staff numbers slightly – three permanent jobs were created for looking after the reading room and performing the increasing amount of cataloguing and office work. During the economic crisis, the Centre was also able to take on so-called "public relief workers" for longer or shorter periods of time. The institution then underwent considerable expansion between 1942 and 1946 under its new manager, Eugen Steinemann. When Eugen Steinemann took up office in 1942, the name of the institute was also changed to "Swiss Social Archives". 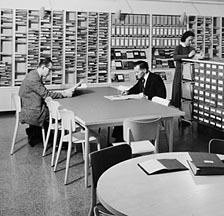 On 2 June 1957, the Swiss Social Archives were able to move into a new building at Neumarkt 28. The move had necessitated long, drawn-out negotiations with the municipal and cantonal authorities, as well as the referendum of 8 July 1956 on the loans that were necessary. Following the death of Eugen Steinemann, Jakob Ragaz (1903-1985) took over as manager of the Social Archives in 1966. He was succeeded by Miroslav Tucek in 1968. It was during the latter's time that the Social Archives were recognised by the Swiss Confederation in the framework of the Universities Promotion Act (1974), and moved to their present location in the Sonnenhof at Stadelhoferstrasse 12 (1984). Under Miroslav Tucek's leadership, the Social Archives underwent considerable expansion and developed into an institution with a nationwide and international reach. In 1988, the first female director, Anita Ulrich, was appointed to the Swiss Social Archives. Under her leadership, the Social Archives made the move into the age of new information technologies, which are opening up new opportunities for disseminating the collection that has been constantly expanded in quantitative terms and with regard to the subjects covered. It was also during her time in office that the Swiss Social Archives started a systematic collection of audio-visual sources and a research fund was set up; this was made possible by a gift from sociologist Ellen Rifkin Hill who died in 1999. When Anita Ulrich retired in 2014, Christian Koller was appointed as the new director. You will find more on the history of the Swiss Social Archives in the commemorative 100-year anniversary brochure "100 Jahre soziales Wissen. Schweizerisches Sozialarchiv 1906-2006" (PDF document [in German], 5 MB). This brochure [in German] in print can be obtained free of charge.